Deandre Tyronne Sims, a 36-year-old black male, died Thursday, April 18, in Glendale, according to Los Angeles County Medical Examiner-Coroner's records. The cause of death is pending. Leon Gough II, a 50-year-old black male, died Thursday, April 18, in Glendale, according to Los Angeles County Medical Examiner-Coroner's records. The cause of death is pending. Jeffrey Michael Appel, a 32-year-old white male, died Tuesday, April 16, in Carson, according to Los Angeles County Medical Examiner-Coroner's records. The cause of death is pending. Jamar Lamonte McCollum, a 26-year-old black male, died Monday, April 15, in Green Meadows, according to Los Angeles County Medical Examiner-Coroner's records. The cause of death is pending. Diane Pamilton Hammack, a 62-year-old black female, died Sunday, April 14, in Lancaster, according to Los Angeles County Medical Examiner-Coroner's records. The cause of death is pending. Clayton Paul Prejean, a 29-year-old black male, died Sunday, April 14, in Palmdale, according to Los Angeles County Medical Examiner-Coroner's records. The cause of death is pending. 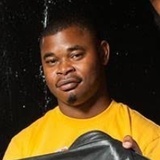 Dario Fredshawn Nixon, a 30-year-old black male, died Saturday, April 6, in Westmont, according to Los Angeles County Medical Examiner-Coroner's records. The cause of death is pending. David Agasaryan, a 37-year-old white male, died Tuesday, April 2, in Reseda, according to Los Angeles County Medical Examiner-Coroner's records. The cause of death is pending. Theodore Kevin Alexander, a 53-year-old black man, was fatally stabbed on Monday, April 1, in the 3800 block of West Slauson Avenue in the View Park-Windsor Hills neighborhood of South Los Angeles, according to Los Angeles County Medical Examiner-Coroner records. Witnesses told investigators they heard people yelling at each other around 2:30 a.m. in some storefront business properties that were being rented out as residences, said Los Angeles County Sheriff's Lt. Derrick Alfred. Alexander and the resident of the space, William Gilbert Sigur, 48, went from arguing to a physical fight inside the building, Alfred said, and then Alexander was stabbed. Luis A. Hernandez, a 21-year-old Latino male, died Sunday, March 31, in Compton, according to Los Angeles County Medical Examiner-Coroner's records. The cause of death is pending. Rigoberto Najera, a 39-year-old Latino male, died Sunday, March 31, in Compton, according to Los Angeles County Medical Examiner-Coroner's records. The cause of death is pending.